They bloom in late summer and fall in swamps and wet thickets. 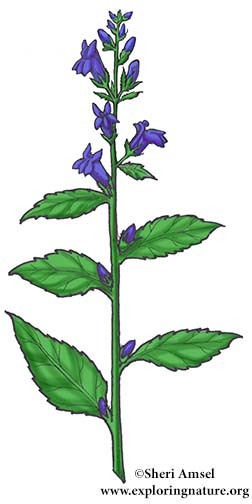 They have many 1” long blue tubular flowers with split upper lip and striped underneath. The plant can reach 3' tall with long, pointed leaves.